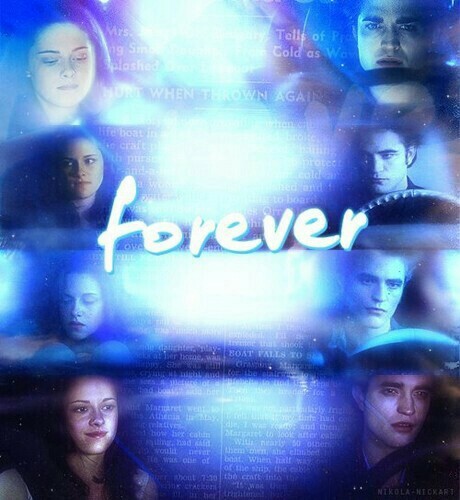 Bella and Edward forever. . Wallpaper and background images in the Breaking Dawn The Movie club tagged: photo -twilightfan- twilight saga cullens edward bella breaking dawn. This Breaking Dawn The Movie fan art might contain প্রতিকৃতি, ধনু, and চতুর.